Electric cars may be cheaper to run, but they're as guilty for CO2 emissions as the internal combustion engine. So say consumer watchdog Which? researchers, who compared the energy consumed when charging electric cars to that of several efficient diesel vehicles and concluded there was minimal difference. 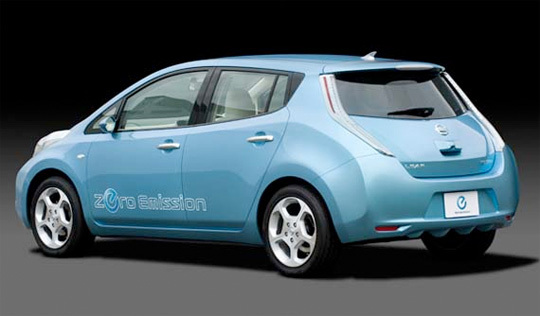 For example, the report says emissions of the Nissan Leaf - an electric car that costs £24k - works out to 81g/km. In contrast, the Volkswagen Golf 1.6 TDi Bluemotion - a diesel car that costs £17k - emits 108g/kg. Okay, so there is a clear difference, but when car manufacturers claim their electric vehicles have zero emissions, they are being economic with the truth. To produce these figures, Which? looked towards the Carbon Trust's measurements that 544g of CO2 is emitted for each kilowatt hour of electricity used. This was then converted to a grams per kilometre CO2 rating. However, it's important to remember the CO2 emissions EVs do produce happen at the power station, where they're easier to control and energy can be drawn from renewable sources. Diesel engines are particularly efficient too and EV technology is fast improving.